Tuscany is a place that for many people conjures up images of rolling hills dotted with stone farms and cypress trees. Misty mornings surrounding the UNESCO World Heritage Site that is the Val d’Orcia. So I’m pleased to be able to announce the first in a series of collaborative photography tours and workshops with the esteemed David Clapp. David is well known in UK photographic circles as well as having a presence beyond British shores due to his collaborations with Canon UK. He is also an Adobe Influencer and during the tour there will be the possibility to delve into Lightroom and Photoshop if tiredness ensues during our time in the landscape. Together, we are doing a 7 day tour and workshop of the UNESCO WHS Val d’Orcia where we will be based near to the model city of Pienza. Our accommodation with be two Tuscan agriturismo (farms) where breakfast will be provided and we will have the optional extra for 25€ per person of having a traditional Tuscan 4-course meal provided by our hosts. 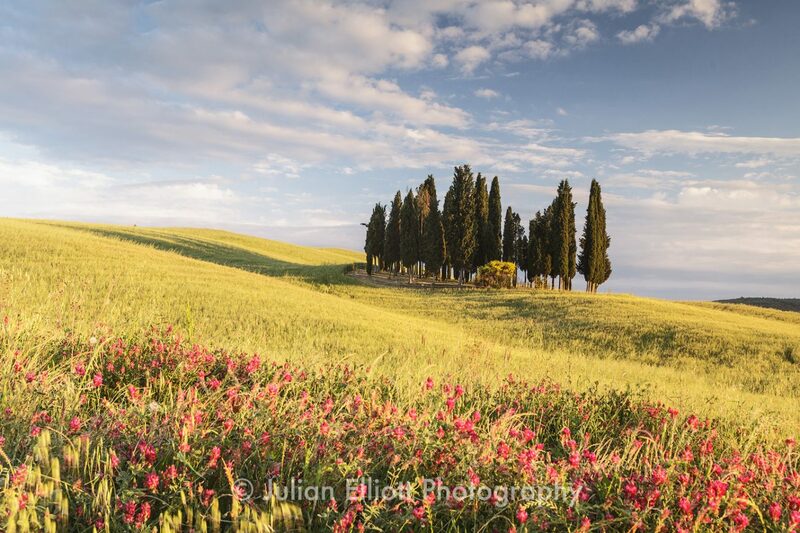 The Val d’Orcia is well known to landscape and travel photographers and together we are running this tour to put our own spin on things. We will of course be headed for some of those well known icons that you are all familiar with but also we want to scratch further beneath the surface and take clients away from the well worn paths to places that are free from the hordes. If you are interested in joining us next year from the 5th to 12th May 2018 then check out the Workshops page for more details. We’ve priced at a very reasonable £1649 which includes the accommodation; breakfast; transfer from our recommended flight; transport during the tour and of course tuition from David and myself.